I still remember Mendel in a baby carriage, and now he’s going to be an Israeli soldier. Last week, Mendel’s mother Rachel and I were hanging out at a neighborhood event, and I nearly fell over when she told me that Mendel would soon be joining the army, and that he was being recruited by some of Israel’s most elite army units. But I’ll tell you the truth: I didn’t really get it. I’m not saying I don’t admire the soldiers. I admire them, and especially the soldiers in high-risk units, with ALL of my heart. It’s these soldiers who put their own lives on the line facing our enemies day after day that enable me and my family to live in Israel and for this little holy country surrounded by bloodthirsty enemies to continue to exist at all. But what I didn’t get is what motivates them. If an Arab came after me with a gun, I would scream, I would flee, I would say, “OK, you win!” and curl up in the safety of my house with a book and a cup of sleepy time tea. So, I’ve always wondered, what motivates a gifted, highly-intelligent, sensitive 17-year-old like Mendel to put his own personal interests, safety, and comfort aside, and to even place his own life, G-d forbid, at risk as an Israeli soldier in an elite unit? This week I’ve been getting my answer through reading Rabbi Ze’ev Karov’s extremely inspirational book “B’Levav Penima: A Small Story of Great Heroism” (Yediot). Aharon collected his gear, bid farewell to his new bride, and headed off to lead his troops into Gaza. That same week, you might also remember, Aharon was almost killed in battle, and received the dubious distinction of being the most severely injured soldier in the Gaza War. B”H, during the year following his near brush with death, Aharon experienced a miraculous recovery, and is today nearly fully recovered. “B’Levav Penima” (which, unfortunately, has only been printed in Hebrew) tells the story of Aharon’s injury and miraculous recovery. But first and foremost, it is a story for me, for people who secretly or not-so-secretly ask what could possibly motivate a normal human being to leave behind his wife of several hours in order to put his life in danger as a soldier in the IDF. My comfort and safety are so crucial to me. It is awe inspiring for me to think of young men like Mendel and Aharon Karov, who place as their top priorities in life the Jewish people and the Jewish state. Even when it’s tough, and even when it’s dangerous, and even when it means they might lose their lives fighting for their ideals. Congrats to Rachel and to Mendel on his upcoming giyos! Amazing how time has flown– the entire nation will have nachas! I have to admit I am troubled by Karov’s story. The Torah teaches us that a man who recently married is exempt from war. It also teaches us to give charity to our family first, the people of our city second, and the people outside our city third. What I learn from this is that pursuing grand national ideals is less important than caring for your loved ones. I don’t see how halacha would permit a man to abandon the woman he just married to go fight in a war. I understand that in this individual case she must have agreed and supported his decision and it was apparently the right decision for these particular people, but it bothers me that this is presented as “the ideal”. In my mind it is not at all clear that it is. Thank you again Chana Jenny for keeping us inspired. 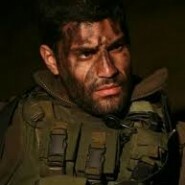 I too am amazed and awed everytime I see an Israeli soldier.